GeoMAX Surveys specialize in high quality Ground Penetrating Radar (GPR) and Underground Utility Surveys. Our team has years of experience within the geoscience industry using latest methods and technologies. 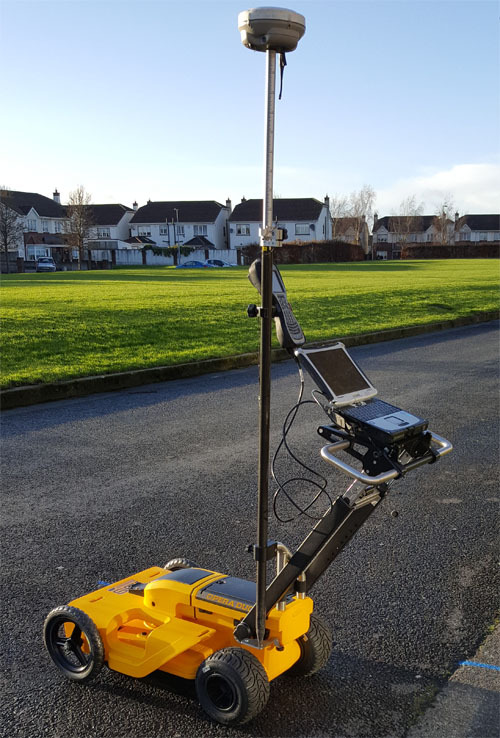 We provide GPR and Underground Utility Surveys to a range of clients including private individuals, county councils, architectural, construction and civil engineering companies. Located in Dublin, we offer services in Ireland and Northern Ireland. Our underground utility mapping solutions meet the standards set by British Standards Institution PAS 128. Underground Utility Surveys help determine the exact location and depth of underground services which can significantly increase the success of construction/civil engineering projects. Ground Penetrating Radar (GPR), a non-intrusive method used to image the subsurface. The deployed antenna frequency may range from low to high depending on the targeted feature.